Last night I attended John Williams’ “Film Night” concert at the Boston Pops, in what has become a yearly ritual for me for almost 15 years now. While he’s always a huge crowd pleaser, I noticed that the audience response yesterday was a little more enthusiastic, sometimes even euphoric, than some previous years. He got near-instant standing ovations after each of the three sections of the concert, as well as several instances of some of the loudest hooting and hollering I’ve ever heard in Symphony Hall. 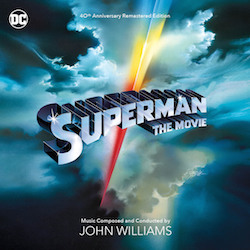 This was particularly true for the three encores, two of which in my familiarity with this series I correctly predicted: the Superman march and the obligatory Stars & Stripes Forever, complete with JW’s conducting of the all-too-happy to clap along crowd. The first encore, Luke & Leia, was a nice surprise, although for times’ sake, Williams truncated three passages from it, most painfully the non-thematic interior section where strings carry a different melody. With three encores and lengthy applause, the concert ended up running a good 20 minutes past 10:00 PM – a protraction none of his cheering audience seemed to mind! The main program itself was a mix of Film Night standards mixed with some surprises, most of all the Oboe Concerto which I’ll describe shortly. He kicked it off with his celebratory piece Jubilee 350, allowing the great brass players of the Pops to rouse everyone into excited attention. From my audio vantage on the 2nd balcony, the strings, even at their most searingly loud, were often slightly drowned out in this and other brass heavy selections, which is more the result of Symphony Hall’s cushiony acoustic than Williams conducting. Following that was the always welcome suite from Far and Away that Williams has arranged. 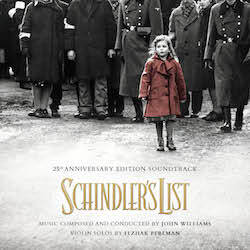 The piece is essentially the film’s end credits with a short initial appendage of the dorian theme from “County Galway, 1892.” Short solo parts for violin (“Fighting Donnelys”) and flute (“Main Theme”) stood out, as well as the hearty horn whoops during the two boxing sections. Next up were a trio of villain portraits that Williams introduced with a short speech. 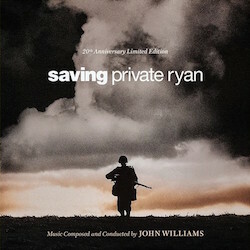 An apparent last minute substitution gave us theJaws main theme first, instead of Eastwick’s “Devil’s Dance” – a shame as far as I’m concerned given the more glittery orchestral writing in the latter and the fact that we heard those “da-dumm.. da-dumms” later in the program during the Spielberg/Lucas montage. The crowd didn’t mind though, and clearly relished its own recognition of the “Jaws” theme after Williams only cryptically alluded to its identity in his speech. 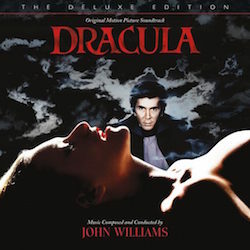 Next up was a selection from JW’s Dracula, “Night Journeys,” which I bet other film score fans in the audience relished in particular because it was more of an actual cue with semi-symphonic development than a straightforward concert arrangement. The barrage of creepy coloristic effects really came across well in the hall’s reverberant space. Rounding off this first third of the program was “The Imperial March” which of course brought down the house. The second portion of the night was of greatest interest to me as it featured the premier of Williams’Oboe Concerto, which he wrote for the BSO and Pop’s master oboeist Keisuke Wakao. If my count is right, this is now JW’s 11th concerto, leaving only the piano, double bass, and percussion left (or trombone, if you don’t count the bass-trombone arrangement of the tuba concerto that’s out there). Each one of these concerti is a different animal, and the oboe concerto stands out most arrestingly for its scoring; the soloist is accompanied only by the strings section (no harp). 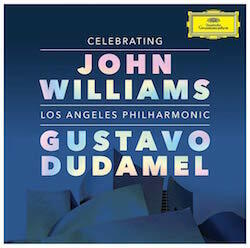 It makes sense for practical reasons, as the oboe easy to obscure in a full orchestral setting but cuts through like a knife when placed against the background of strings, but also provides a unique if somewhat limited pallet of colors for JW to work with. I’ve actually been surprised by the number of prominent 20th century oboe concerti out there, by composers JW is no doubt familiar with (Martinu & Vaughan Williams I’d guess were models, esp. the latter, which is scored similarly). The first movement, a moderately paced “Prelude,” was the most harmonically gorgeous – Wakao’s sinewy melodies often times wrapped in a thick cloth of chromatically-related triads coming in thick homophonic sheets. Stylistically, the sounds recalled Angela’s Ashes and The Patriot at times, but most of all the lusher Tatooine music from Star Wars Episode I – I don’t know what we’re calling it these days, but parts of “Shmi and Qui Gon Talk” comes to mind. The second movement, “Pastorale” was in a way the most familiar of the concerto’s three. Beginning with a conversation between solo cello and viola, the oboe soon enters with a pensive melody whose pentatonic/mixolydian harmonic basis aligns it with someRosewood (both score and cello solo suite) and the beginning of Air and Simple Gifts. An episode or two within the “Pastorale” had more lilting, dance-like qualities, something you’d expect a piper in a faraway field to be playing for his flock (in this case, the flock of Williams adulators was surely more close by!). The final movement, “Commedia,” was a tour de force, with sometimes psychotically fast oboe lines against very active string accompaniment. It was based on a rondo theme with a wide and rapid gait, recurring at intervals and in various combinations with other material. Interspersed throughout were some more scherzo-like sections full of insistently repeated notes in the strings, as well as some of the concerto’s most impressively contrapuntal material, with a lot of canonic writing and maybe even a whiff of a fugato in there somewhere. The movement barreled towards its conclusion with puckish good humor, and I was not the only one with not only grinning, but chuckling, when it ended with one of those characteristic Williams fake-then-real closing gestures. 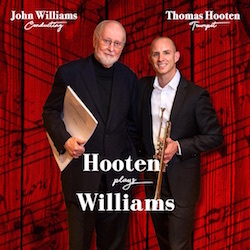 Though it didn’t have the pathos of the violin concerto or the heartbreaking melodies of the cello or horn concerti, Williams’ oboe concerto is a great entry into his oeuvre, and a moving and thrilling work by any standard. The audience was on its feet in short order, and in one of the best touches of the night, a little girl (presumably Wakao’s daughter) came up on stage to give him flowers and walk off with him. The final leg of the concert was entirely crowd-pleasers. First, the “Inquirer” from Citizen Kane, a piece Williams must love since you hear it at almost all his Pops concerts now. On its heels, 1941 tribute, starting with nicely put together suite from Casablanca, complete with projected montage from the film. This was followed by the “March” from 1941 itself, along with a montage of the visual gags from that movie. What was amazing, given the not-exactly stellar reputation of that film, was how well the audience responded, especially to the sight of John Belushi – I think that this little concert montage might be the best reception Spielberg’s 1941 ever got! Next up, the theme from Sabrina (as arranged for Izhak Perlman on the Cinema Serenade CD) along with a montage of Aubrey Hepburn. 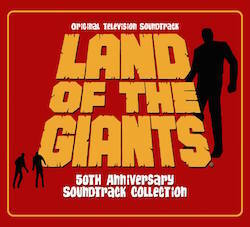 And to conclude, a suite consisting of the beginning of the Jaws theme (again), the Star Wars Main Title (up till the end of Luke’s theme), the “Raiders March” (through Marion’s theme), and the theme from E.T. (ending with an interpolation from the conclusion of “Adventures on Earth”, I think). 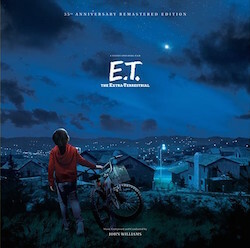 It was played alongside a clips montage, somewhat hokey, but effective (particularly with the final images from E.T. matching up with the appropriate music). I’ll end by saying that for anyone who hasn’t been to see John Williams live in concert, you really should make the effort to do so. These events are unfailingly wonderful, and if you live in the right places (I’m certainly spoiled by being a life-long Bostonian), can be relatively easy to get to as well. 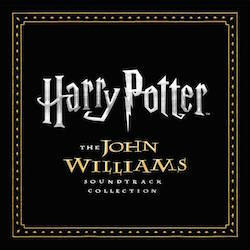 In fact, I’ll go further to say that, as a John Williams fan, it is you duty (!) to make the pilgrimage at least once in your life!